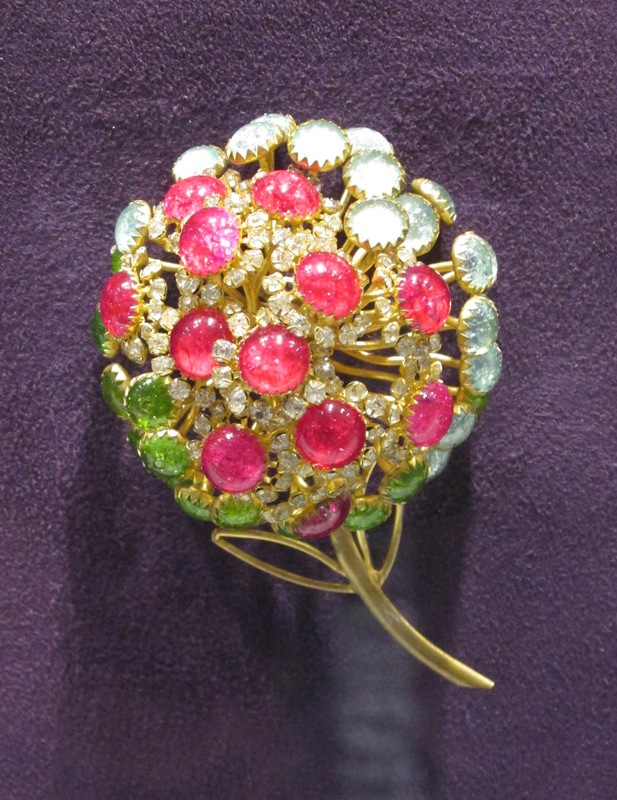 Flower brooch by CIS/Countess Zoltowska, circa 1955. Big. Bold. Beautiful. These words could describe one of the glorious necklaces on display at the new exhibit Fashion Jewelry: The Collection of Barbara Berger, now on view at The Museum of Arts and Design. They could also describe the show itself, of the type that doesn’t come along that often because it represents the life’s work of someone with a passion and a vision. The last time I felt moved by the collection of a single individual was during the 2011 exhibit Daphne Guinness at The Museum at FIT. Both shows remind me that a collection, of anything, is as individual as a fingerprint, and gives the viewer a window into the collector’s aesthetics, thoughts, and dream life. It can’t help being so personal. 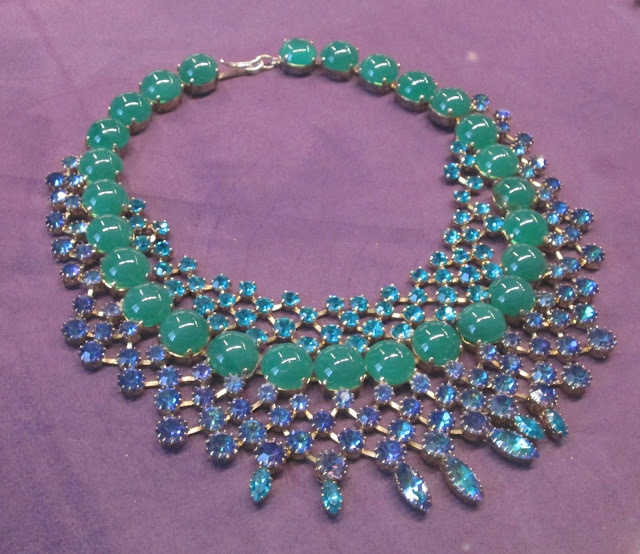 A Schreiner necklace from 1960. There are 450 objects on display, culled from Ms. Berger’s collection of 4,000 pieces, representing 80 designers, and over 100 years of fashion history. This is a show not to be missed for anyone who loves costume jewelry, whether vintage and contemporary. If vintage is your thing, you can explore the designs of world-famous costume jewelers like Maison Gripoix, Trifari, Miriam Haskell, Schreiner, Marcel Boucher, Kenneth Jay Lane, and many others. You can delight in designs by Chanel, Balenciaga, Dior, Valentino, and Yves Saint Laurent. If you want to see more contemporary pieces, there are glorious works by Iradj Moini, Lawrence Vrba, Daniel Von Weinberger, and David Mandel. This amazing feather necklace is by Maison Gripoix, 2000. The back of the necklace. 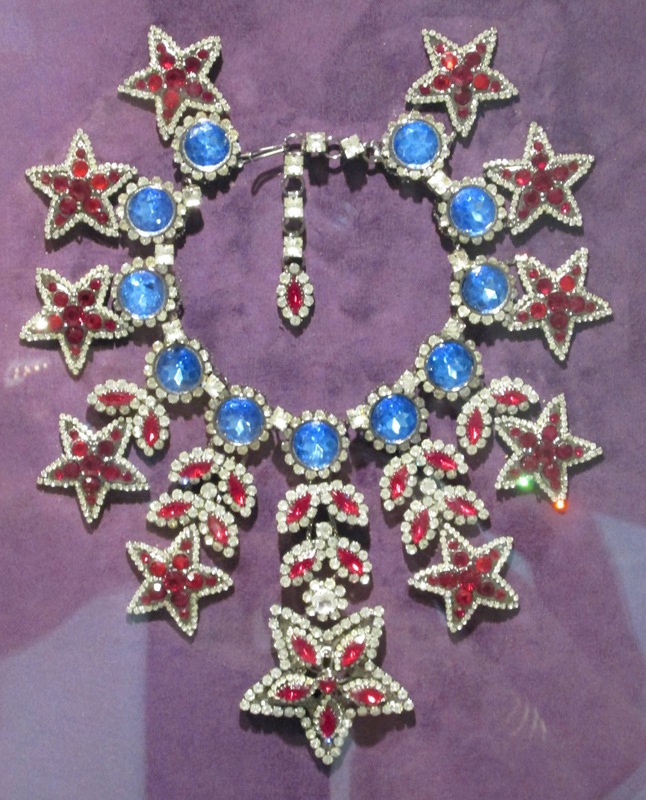 MAD Curator Dorothy Globus said that costume jewelry offers “as much craftsmanship and design” as the real thing. 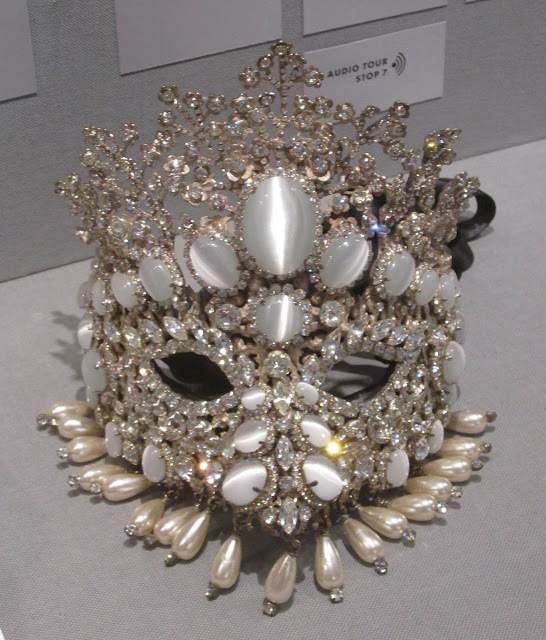 “The settings, the soldering, it’s every bit as fine as fine jewelry.” One unique feature of the exhibit allows viewers to see the back of select pieces to enjoy the craftsmanship Ms. Globus mentioned. I want to wear this on the 4th of July! By Lawrence Vrba, 1990. A 1975 cuff by Valentino. I am dying of love over this piece! 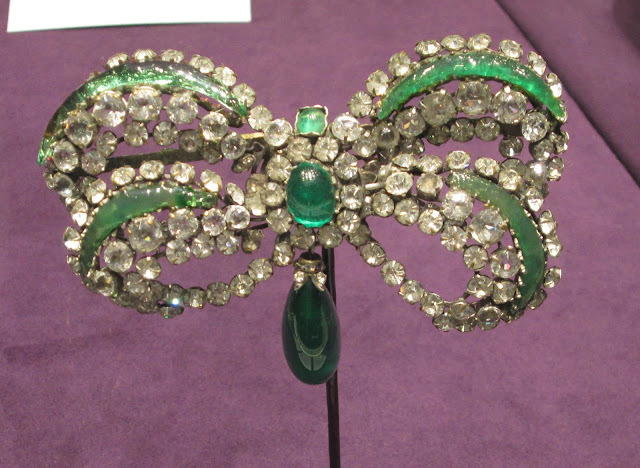 A Bowknot brooch from Chistian Dior by Maison Gripoix, 1960. The pictures I’m showing here are a fraction (a teeny tiny fraction!) of what is on display and are (some of) my absolute favorites, but there is so much to love in this exhibit. By CIS/Countess Zoltowska, circa 1955. She was known for crackled glass cabochons and bib-style necklaces. 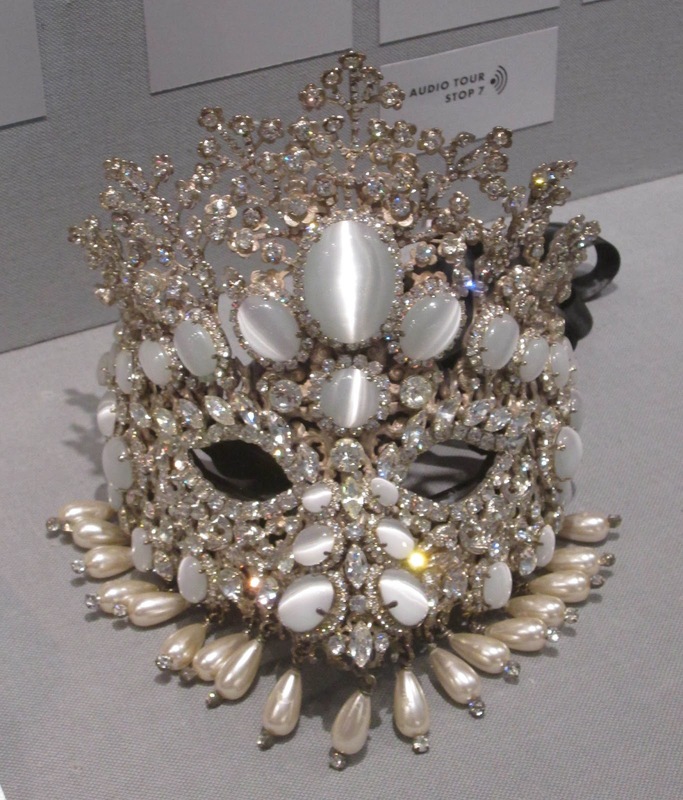 A Venetian Mask by Timothy Szlyk for Thorin & Co., 2011. Attributed to Yves Saint Laurent or Chanel, by Maison Gripoix, 1960. By Yves Saint Laurent, 1990. Those baubles are plastic, not stones. Amazing! A 1940 brooch by Joseff-Hollywood. A beautiful collar necklace by an unknown French designer, circa 1950. 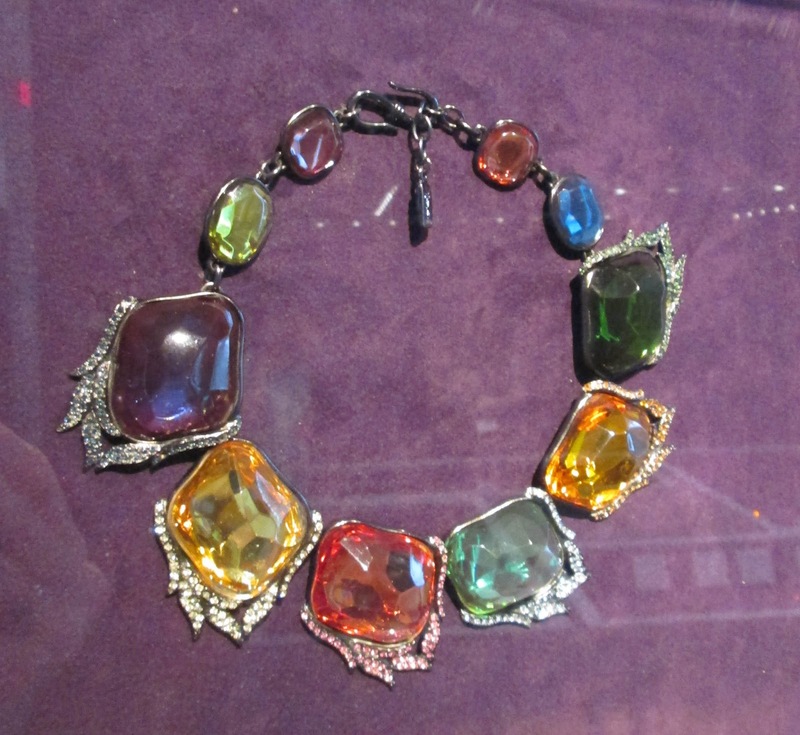 Fashion Jewelry: The Collection of Barbara Berger is on view at The Museum of Arts and Design through January 20, 2014. We were there today, amazing! We ordered the book too. I would do anything to see this exhibition - truly AMAZING! For me costume jewels have their own beauty in their own right and I would not hesitate to buy an old vintage piece over a modern offering. I love your statement that a collection is as individual as a fingerprint. So true! I'm excited to be seeing this one in August. Oooh! What gorgeous baubles! Those feathers necklaces are my favorites. Nice Collection! I will start doing collection after reading this Post... It helps me a lot. Thank you to everyone who left a comment. Vintage Traveler, I am SO excited that you get to see this exhibit in August. You will love it!